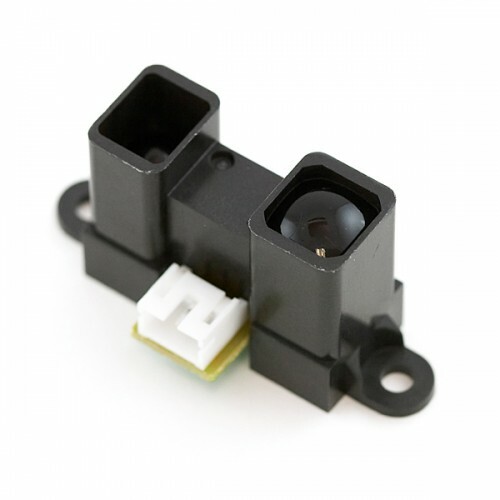 Infrared proximity sensor made by Sharp. Part # GP2Y0A02YK0F has an analog output that varies from 2.8V at 15cm to 0.4V at 150cm with a supply voltage between 4.5 and 5.5VDC. The sensor has a Japanese Solderless Terminal (JST) Connector.